imf Archives - Africa M.E. JOHANNESBURG (Reuters) – Nigeria and Kenya will follow Ghana’s lead and cut rates in the third quarter, a Reuters poll found, as long as there is a monetary committee quorum in Abuja and an easier commercial lending policy in Nairobi. A Reuters poll of 11 analysts for some of Africa’s major central banks, taken in the past four days, found the majority saying Nigeria and Kenya’s benchmark rates will remain at 14.0 and 10.0 percent respectively next week. Eight of the 12 members still need to be appointed to Nigeria’s Monetary Policy Committee (MPC) – so there is unlikely to be a meeting next week – while Kenya remains hamstrung by a bill limiting commercial lending rates to 4 percentage points above its official rate. Nigeria’s central bank was forced to cancel its January meeting as it was unable to reach a quorum. But the Senate plans to start screening new members for the interest rate committee after it held up some of President Muhammadu Buhari’s nominees in a political spat. Inflation in both Nigeria and Kenya slowed recently, making both ripe for easier policy, and according to the poll there will be 200 and 100 basis points worth of cuts coming this year, respectively. “There is a case for policy loosening in Nigeria and Kenya, but inflation in Nigeria has been stickier at least until February and the delay in appointing new members of the MPC has also held up policymaking,” said John Ashbourne, Africa economist at Capital Economics. Nigeria has navigated several challenges in the past three years, dealing with dollar shortages and an economy that came out of its first recession in a generation in 2017. But growth in the last quarter of 2017 rose to 1.92 percent compared to a 1.73 percent contraction in the same period of the previous year. 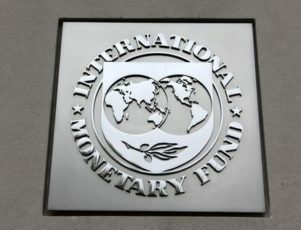 On Wednesday the International Monetary Fund approved a request by Kenya to extend by six months a stand-by loan that was due to expire at the end of March, giving it time to finish mandatory reviews. Amending a bill on interest limits for commercial bank loans is one of the conditions the IMF needed to approve the “rainy day” loan facility and so an amendment could happen soon, said Aly-Khan Satchu, CEO of Rich Management in Nairobi. The bill meant banks decided a large number of borrowers – mainly small traders and informal sector workers – were too risky to receive loans. Unless the bill is scrapped or modified to take advantage of slower inflation and rates fall further, banks are likely to exclude yet more would-be borrowers from credit – effectively tightening rather than easing monetary conditions. After 600 basis points worth of cuts in the past two years, Ghana is expected to press on and cut 100 basis points to 19.0 percent later this month and then continue chopping until it reaches 17.0 percent by end-year. 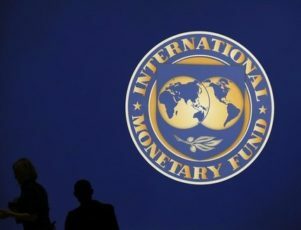 ACCRA (Reuters) – Ghana must legislate new measures to boost revenues by at least 0.5 percent of gross domestic product before the IMF reviews a $918 million credit deal next month, the Fund said. The West African nation must also outline plans to clean up the financial sector and show stronger commitment to cut debt, including limiting its next Eurobond for budget support to $500 million, IMF said in a document seen by Reuters. Finance Minister Ken Ofori-Atta said last week the government planned to issue up to $2 billion of sovereign issuance by June to pay down debt that hit 68.7 percent of GDP last November and help finance the 2018 budget. Ghana is seeking a combined fifth and sixth review of the IMF programme in early April, government and IMF sources told Reuters. The fifth review, originally scheduled for December, had delayed pending implementation of benchmark structural reforms. “Parliament to adopt revenue measures equivalent to 0.5 percent of GDP (one billion cedis) by March 31 and do more later,” the Fund said. 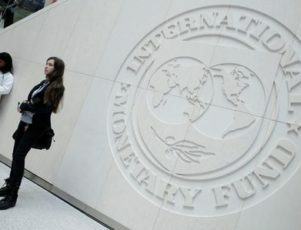 The document, dated Feb. 26, formed the basis for talks between an IMF staff mission and the government this week. The mission left Accra on Thursday after discussing the actions required for the next review, as well as other reforms needed to exit the programme early next year. It is unclear if the talks were conclusive. Ghana, which exports cocoa, gold and oil, is in its final year of the programme, designed to stabilise an economy dogged by high inflation and debt, and low growth. The Fund said the government must publish by end of March an agreement between the Finance ministry and Bank of Ghana to reinforce zero financing of the budget deficit, a core condition of the programme. The government of President Nana Akufo-Addo, inaugurated in January 2017 said it inherited $2.3 billion in accumulated debt owed to power utilities and has launched long-term bonds for repayment. It is also probing unpaid contract arrears of around $1.6 billion. The IMF said while the country made progress, the central bank must adopt a fully market-based foreign exchange management policy and cut non-performing loans. The government aims to cut the budget deficit to 4.5 percent of GDP in 2018 from a revised 6.3 percent while inflation is projected to fall to 8.9 percent. It sees GDP growth at 6.8 percent from a projected 7.9 percent in 2017. 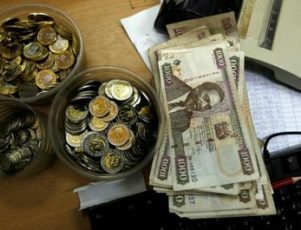 NAIROBI (Reuters) – Kenya shook off a downgrade and the loss of access to an IMF standby credit facility to raise a $2 billion dollar bond at competitive yields, but market participants said on Thursday it still needs a credible plan to tackle its fiscal deficit. Kenya received $14 billion worth of bids. It took just $1 billion in a 10-year note with a yield of 7.25 percent, and another $1 billion in a 30-year tranche with a yield of 8.25 percent, Thomson Reuters news and market analysis service IFR reported. “They were in line with the yield curve,” said a fixed income trader in Nairobi. The eventual yield reflected a tightening of the initial pricing area by about 30 basis points. It was close to the comparative yields for other African sovereigns like Nigeria, the trader said. Last week, credit ratings agency Moody’s downgraded Kenya’s debt rating to B2 from B1 while officials were in the middle of the bond roadshow abroad, angering the government. More bad news emerged on Tuesday, after the International Monetary Fund said it had frozen Kenya’s access to a $1.5 billion standby facility last June, after failure to agree on fiscal consolidation and delay in completing a review. “They (the government) were able to weather the knocks of the Moody’s downgrade and the IMF issue,” said Aly Khan Satchu, a Nairobi-based independent trader and analyst. But he warned that the government needed to convince investors it has a plan to tackle the fiscal deficit. “People are worried about debt-to-GDP ratios and they want to see a stronger language about how this will be addressed,” he said. Kenya’s total debt is about 50 percent of GDP, up from 42 percent in 2013. It has borrowed locally and abroad to build infrastructure like a new railway line from Nairobi to the port of Mombasa. The finance ministry has published a plan to lower its fiscal deficit to 7 percent of GDP at the end of this fiscal year in June, from 8.9 percent in 2016/17, and to less than 5 percent in three years’ time. Satchu said it was not enough for investors. They want to see more targeted infrastructure investments that will ensure a return, and attempts to reign in a ballooning public service wage bill and other recurrent expenditure. “We have got to walk the talk. We are not even talking the talk yet,” he said. ABIDJAN (Reuters) – The International Monetary Fund (IMF) ended a week of talks in Congo Republic on Thursday saying the debt-crippled nation had more work to do if it hoped to gain the lender’s approval for a bailout package. Like other Central African oil producers, Congo has been hit hard by low crude prices. Government revenues have dropped by a third since 2015. The IMF said in its end-of-mission statement that the non-oil economy was in recession, with a contraction of 9.2 percent expected for this year. The Fund said it was encouraged by Congo’s draft 2018 budget and added that progress had been made in formulating medium-term macroeconomic and structural policies it could support. However, it said the government needed to do more to restore debt sustainability, urging it to finalise the hiring of legal and financial advisors. More progress towards strengthening governance was also needed. Congo is regularly singled out by anti-corruption groups for the opaque management of its oil sector. The finance ministry acknowledged that “immediate measures” were needed. “That is why… Congo Republic will open negotiations with its main creditors in the aim of restructuring its debt,” it said in a statement. Once the Fund’s recommendations were carried out, “a financial arrangement to support Congo’s economic programme would be discussed at staff level before being proposed for the IMF Executive Board’s consideration,” said Abdoul Aziz Wane, who headed the mission. The slow pace of the negotiations with the IMF, which have been under way for months, as well as continuing legal uncertainties, have compounded Congo’s acute liquidity pressures, according to Fitch. The IMF said in October that the country’s public or publicly guaranteed debt totalled $9.14 billion, or around 110 percent of GDP, by the end of July. Much of that debt is believed to be owed to oil traders, who lent money to the government against future crude shipments. A construction firm has also filed suit in a French court seeking payment of over $1 billion for public works projects dating back decades. That debt was not included in the IMF’s estimate. Negotiations to hammer out the terms of an IMF assistance package will continue early next year, the finance ministry said in its statement. 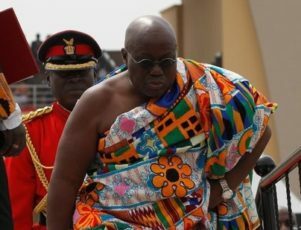 ACCRA (Reuters) – Ghana will not extend its three-year aid programme with the International Monetary Fund beyond April 2018, President Nana Akufo-Addo said on Tuesday, despite continuing fiscal difficulties. The president’s announcement is a surprise turnaround after government officials said last month that Ghana was considering a request by the Washington lender to extend the programme to December 2018. An extension would have reassured markets of the government’s commitment to fiscal discipline, analysts say. Akufo-Addo said, however, the government was on target with its policy to restore growth and create private sector jobs. “There is no question about the IMF programme being extended beyond April 2018. We want to complete it and move on,” Akufo-Addo told reporters. The $918-million agreement was signed in April 2015 to address problems of slow growth and high public debt. The IMF said in May that an extension was needed after Ghana failed to meet certain deal requirements on schedule. 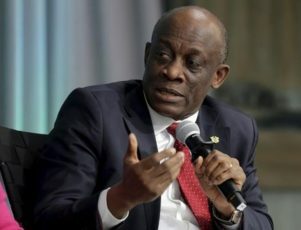 ACCRA (Reuters) – Ghana is on target to halve its fiscal deficit this year after its $918-million aid deal with the International Monetary Fund, Finance Minister Seth Terkper said on Wednesday. His comments appeared designed to allay uncertainty over the deal that emerged this month when parliament rejected a key component that was designed to promote fiscal discipline. The following day the government suspended a planned Eurobond issue. The government issued a bill to eliminate central bank financing of the budget deficit in line with the requirements of the deal but on Aug. 2 parliament passed the bill with an amendment allowing financing of up to 5 percent. Ghana’s public debt eased to 63 percent of GDP in May from 72 percent at the end of 2015, while consumer inflation dropped to 16.7 percent in July from 19 percent in January, Terkper said, citing the impact of the deal that began in April 2015. The central bank expects inflation to slow to 8 percent, plus or minus two, by September 2017. “We are set to halve the deficit from 12 percent in 2012, and we have also started stemming the rate of growth of the public debt,” he told a meeting of private businesses in Accra. Ghana, which exports cocoa, gold and oil, signed the assistance programme to bring down inflation and the budget deficit and stabilize the currency. Terkper said the debt stock could rise marginally to 65-66 percent of GDP on planned disbursements towards the end of the year but will remain below 70 percent. Ghana pulled out of a planned five-year $500 million amortising Eurobond this month because investors demanded a yield higher than the single digits the government had expected. Terkper led the government finance team on the deal and said his team only suspended pricing of bids. “We did not call off the 2016 bond …. What we did was to suspend pricing …. We must sometimes hold our nerves when we’re in the capital market to look for the right window before we strike in order to get the best results,” he said. Ghana will on Thursday begin pumping oil from a second offshore oil field, Tweneboa-Enyenra-Ntomme or TEN, in addition to its flagship Jubilee production which began in late 2010. ACCRA (Reuters) – Ghana’s parliament on Tuesday overwhelmingly rejected a core condition of a $918 million International Monetary Fund (IMF) aid deal on Tuesday, breaching the terms of a three-year programme meant to fix an economy dogged by high public debt. The lawmakers passed the Bank of Ghana (BoG) Amendment Bill to allow central bank financing of the government’s budget deficit up to a ceiling of 5 percent of the previous year’s total revenue, instead of the zero financing demanded by the IMF. Until now the bank was authorised to finance the deficit at up to 10 percent of revenue. Implementation of the zero financing requirement is one of the targets the government was expected to meet in order for the Fund to conclude Ghana’s third programme review and disburse the next tranche of aid. However, Deputy Finance Minister Cassiel Ato Forson told Reuters that, despite the law, the government will not finance its deficit with central bank funds. “We have demonstrated enough that the government is committed to expenditure control and we will remain on course, irrespective of today’s decision by parliament,” he said. CAIRO (Reuters) – Egypt’s finance minister said in a television interview on Sunday that Egypt’s external debt would reach $53.4 billion if his country receives an International Monetary Fund (IMF) loan. Last week Egypt said it was seeking $4 billion a year over three years from the IMF to help plug a funding gap. The government hopes to finalise the deal in August. A two-week IMF mission arrived in Cairo over the weekend to negotiate an IMF loan package. CAIRO (Reuters) – Egypt said on Tuesday it was close to agreeing an International Monetary Fund (IMF) lending programme to ease its funding gap and restore market stability and was seeking to secure $7 billion annually over three years. Prime Minister Sherif Ismail ordered the central bank governor and minister of finance to complete negotiations for the programme with an IMF team that will visit Egypt in the next few days, the cabinet said in a statement. “We are resorting to the IMF because the budget deficit is very high, between 11 and 13 percent within the past six years,” finance minister Amr el-Garhy, said in a phone interview with presenter Lamis El-Hadeedi on a private TV channel late on Tuesday. In Washington, the IMF welcomed Egypt’s request for financial support and said it would send a mission to Egypt for about two weeks from July 30. The cabinet statement, after a five-hour meeting, was the first official confirmation that talks with the IMF were under way. The statement said talks had been ongoing for three months. “The prime minister stressed the need to cooperate with the IMF through the support program to enhance international confidence in the economy and attract foreign investment, and therefore achieve monetary and financial stability … targeting $7 billion annually to fund the program over three years,” the cabinet statement said. The government is seeking $12 billion from the IMF, $4 billion a year, which will carry an interest rate of 1 or 1.5 percent, el-Garhy said. The package includes issuing $2-3 billion in international bonds which will be offered as soon as possible, between September and October, he added. Economists welcomed the news, which came after a turbulent few weeks for Egypt’s currency, the pound, which has plummeted to new lows on the black market as confusion mounted over the direction of monetary policy. Genena said he expected the Cairo stock market to surge after the news and for the currency to strengthen on the black market. The black market had already strengthened slightly from lows near 13 to the dollar on Monday. Two black market traders contacted by Reuters said they were selling dollars at about 12.80 to 12.85 pounds after the IMF deal was announced. “I think the stock index will hit 8,000 in the next couple of days,” Genena added. The benchmark EGX30 <.EGX30> closed up 0.3 percent at 7,540 on Tuesday. Egypt’s economy has been struggling since a mass uprising in 2011 ushered in political instability that drove away tourists and foreign investors, both major earners of foreign currency. Reserves have halved to about $17.5 billion since then. The dollar shortage has forced Egypt to introduce capital controls that have hit trade and growth, while the value of the Egyptian pound has plummeted on the black market in recent weeks as expectations of a second devaluation this year mount. The government has pushed ahead with its reform programme, including plans for a value added tax (VAT) and subsidy cuts that were put on hold when global oil prices dropped. A VAT bill is in its final stages of preparation but has faced resistance in parliament due to concerns over inflation, which has touched seven-year highs since the currency was devalued by 13 percent in March. Egypt’s ambitious home-grown fiscal reform programme formed the basis of a $3 billion three-year loan deal with the World Bank that was signed in December. But the cash has yet to be disbursed since the World Bank is waiting for parliament to ratify economic reforms including VAT. A cabinet minister told Reuters last month that Egypt had started negotiations with the IMF and that the central bank was leading the talks. A statement released by Capital Economics, an independent economic research company, also welcomed the news. JOHANNESBURG (Reuters) – Corruption in South Africa is hampering reforms needed to boost economic growth and greater transparency is needed at state-owned companies, a senior International Monetary Fund (IMF) official said on Tuesday. IMF First Deputy Managing Director David Lipton said that cutting taxes and increasing government spending would not solve the problem of sluggish growth in Africa’s most sophisticated economy. The IMF recently cut its growth forecast to only 0.1 percent for 2016 versus a previous estimate of 0.6 in May, citing the impact of severe drought and ineffective fiscal policy. President Jacob Zuma’s unexplained decision to change finance ministers twice in four days in December and a series of political upheavals that followed had also hurt the economy’s prospects, Lipton said. “The leadership changes at the National Treasury last December and other political developments have had an adverse impact,” he told a public lecture in Johannesburg. Lipton also alluded to investors’ lack of faith in the management of South Africa’s 300-odd state-owned enterprises, many of which are over-staffed and under-productive. A team commissioned by Zuma to review the firms recommended that some should be sold but nothing has happened. “Support for money-losing companies is a growing drain on government coffers,” Lipton said. As a solution, he suggested South Africa centralise the formulation of fiscal policy, reduce labour regulation uncertainty and root out public sector corruption.